Seeing as you may be drinking various wines over the festive period (and carrying on throughout January) we thought it was the perfect time to answer a question that many of us have pondered over. Does the length of a wine glass stem affect the taste? Before we can answer this question we have to consider a wine glass in all its slender glory; the stem, the foot, the bowl and the shape. Each of these areas helps make a wine glass functional and aesthetically pleasing. Let’s take this ‘wine glass lesson’ back to basics to understand the purpose of a glass’ stem. What is the function of a glass’ stem? The stem allows us to hold a glass securely without our hand on the actual bowl, which can interfere with the wine’s temperature. The stem length varies from glass to glass however long stems are still considered to look more elegant on a table setting. It can therefore be said that shorter stems are more practical for everyday use and fit easily into the dishwasher (if dishwasher friendly). Every wine expert will tell you a wine glass should only be held by the stem. There are two main reasons for this. Firstly a wine glass’ appearance is ruined by fingerprints, known as ‘smudging the glass’. Secondly, holding the glass by its stem ensures the wine stays at its desired temperature. Holding a glass by its bowl increases the temperature of the wine which can drastically affect the taste. A tall and slender stem usually means that the wine should be served cold. 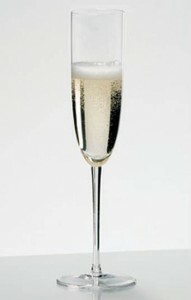 The long stem allows your fingers to firmly grasp the glass without warming/heating the contents. For example, champagne flutes have spindly stems to prevent heat interfering with the delicious fizzy contents.A short stem is typically found with red wine glass designs as the contents usually benefit from a little warmth. 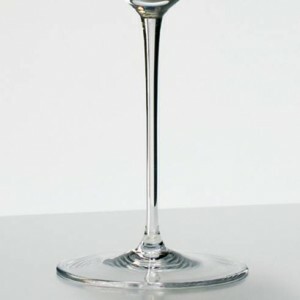 The different types of stem glasses include wine glasses, champagne flutes, cordial glasses, cocktail glasses and goblets. So, can the length of a wine glass stem affect the taste? The length of a wine glass stem cannot affect the wine taste per se; but heating a glass by (hand) contact can heat the wine and thus alter the wine’s taste and flavours. Therefore you can opt for wine glasses with different stem lengths to suit your preferences. There are a great variety of styles available, so you can have certain stem length wine glasses chosen with your guests in mind! If you are looking for something slightly different from the traditional stemmed wine glass, stemless wine glasses offer this. These glass designs are modern and stylish and suitable for wines, fruit juice and other soft drinks. Many wine experts, enthusiasts and sommeliers do not favour the stemless wine glasses as fingerprints are easily shown on the glass and wine is warmed up from your hand holding the glass. 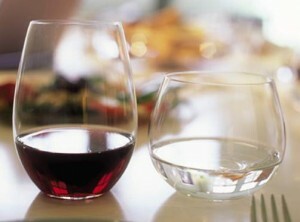 Stemless wine glasses are becoming increasingly popular and are used within the home and trendy bars and restaurants. They offer an alternative to the traditional wine glass. If you require any more information about the glasses mentioned or any other glassware please feel free to contact us. We can advise you on your glassware choice. We promise to keep our views on stemmed and stemless glasses to ourselves (for now). Cheers!